If you are a business owner or property manager, it can be difficult trying to find runoff solutions for your walkways and landscaping that are both effective and affordable. While some soil stabilizers offer results at a premium price, others fail to withstand the weather and daily foot traffic that your site incurs. All across the country, businesses of all types are struggling to find a quality product for this purpose. 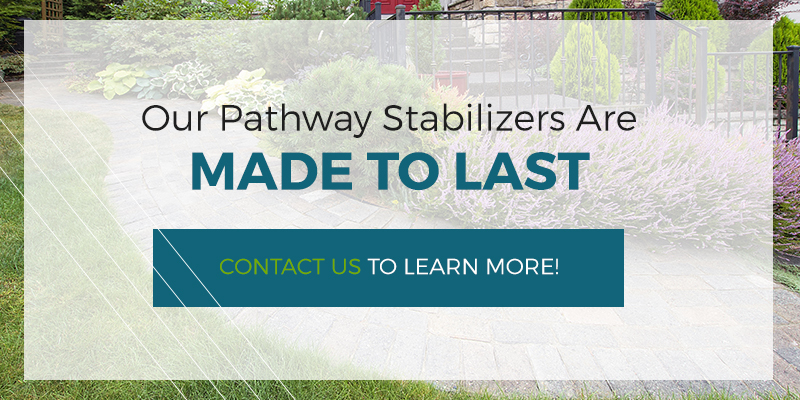 Howell Pathways, after combining with Klingstone Paths, is now able to provide the best pathway stabilizer in Texas to customers nationwide, delivering amazing results that are sure to meet your high expectations. Our polyurethane sealer relies on a key combination of ingredients that are durable, versatile, and cure to an inert substance. From prestigious golf courses to DIY garden paths, our pathway sealant is able to provide the support you need to make the most of your walkways. Today, we’ll continue our topic on versatility by highlighting more commercial sites that are good candidates for our gravel stabilizer. 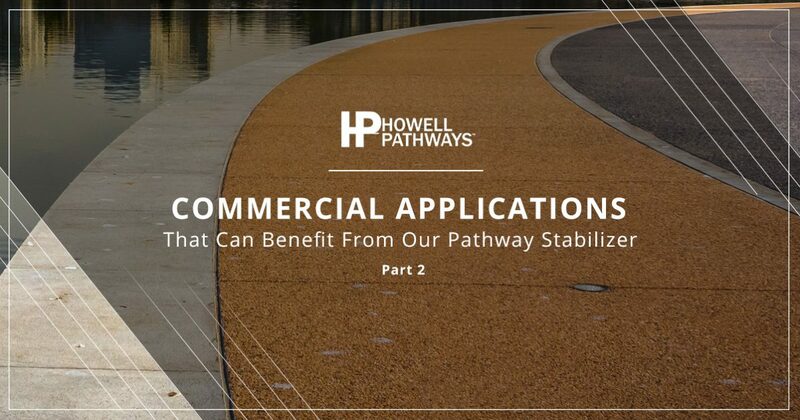 When done, be sure to contact our experts today to see how Howell Pathways can enhance your property! Everywhere you go, you can expect to find a number of monuments and historical sites that retain their classic look while keeping within regulatory guidelines. Klingstone Paths was originally approached in 1997 to develop an effective solution for Colonial Williamsburg. This historical site is now open to the public, delivering hands-on activities and tours for guests to walk the 18th-century town. The pathways at this site receive heavy foot traffic, requiring continual maintenance to retain an acceptable condition for guests to safely traverse. Our pathway sealant was developed to protect material cohesion, providing superior protection against breakdown and water runoff. Colonial Williamsburg today is still benefiting from this initial installation, providing preserved walkways that are as durable as they are natural in appearance. The labyrinth of public trails and park facilities across this great nation provides an ideal way for families and individuals to get into the outdoors to reconnect with nature. In many locations, it can be a logistical challenge trying to create a maintenance plan that keeps your pathways in acceptable condition for both aesthetic purposes and safety measures. Our pebble epoxy can be the perfect solution for your public spaces, delivering durable results that can prevent immense amounts of maintenance over its lifespan. This can save you considerable time, energy, and money in regular upkeep needs. Be sure to contact our experts to see if we can enhance your parks and trails! Universities across the country face the challenge of creating walkways for students and staff that are both safe and ADA-compliant. Texas A&M, for example, came to us in need of a pathway stabilizer to bond their stones together in tree wells near Kyle Field. Howell Pathways was able to deliver a finish that allows water to reach the tree while still being wheelchair accessible. This outcome helped to make our Klingstone Paths sealants a popular choice for educational institutions across the country. If your campus is dealing with similar problems, be sure to reach out to our team for assistance! From public spaces to businesses and historical places, commercial properties across the country are facing the challenge of providing long-term solutions that work to keep your walkways intact and protected from the elements. Water runoff can quickly damage your paths, creating the need for costly maintenance and repairs. We are proud to produce the best pathway stabilizers in Texas, delivering quality results for each and every project we work with. Contact us today to receive your consultation!